Spend another £99.21 to get FREE DELIVERY! Hager J301 Selective Entry Slot Terminal Junction Box. 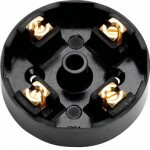 20 Amp Junction Box, Selective Entry, 4 Terminal, Brown. Comply with BS EN 60670-22. 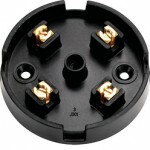 Junction box covers secured by single centre screw.